On 18 December the Xinhua news agency publicized the state China’s Policy Paper on the European Union. We would like to highlight straightaway that this is not a unique document in the history of their official bilateral ties, established in 1975. 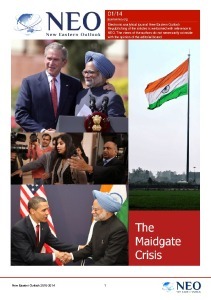 Similar policy papers were issued in 2003 and 2014. But the latest in this series of documents has generated heightened interest from experts. The reasons behind this are fairly simple as the document appeared at a time when there was a sudden acceleration in the deterioration of the world order, temporarily established at the end of the Cold War. At times of such historic changes, key players on the world stage need to respond more quickly towards the rapidly changing environment. We would also like to point out that the time period from publication of the first policy to the second is nearly three times as long as the period separating the release of the second and third documents. It is highly unlikely that anyone could have predicted in 2014 that in the following two years the existing tensions in the transatlantic relationship would transform into a fundamental rift right in front of our very eyes. Who could have foreseen that the long-term standard-bearer for globalization, the USA, would throw away this symbol, and that China, currently the United States’ key rival, would raise this discarded flag. It was equally difficult to envision that the Sino-American multifaceted rivalry, which gradually manifested itself in the last decade on the world stage, would take such an unexpected turn for the worse in the last one and half years. In the sphere of trade and economy, the term “war” has already been used to describe the current state of affairs. And in this pre-war environment the issue of (even quasi) alliances becomes quite acute. 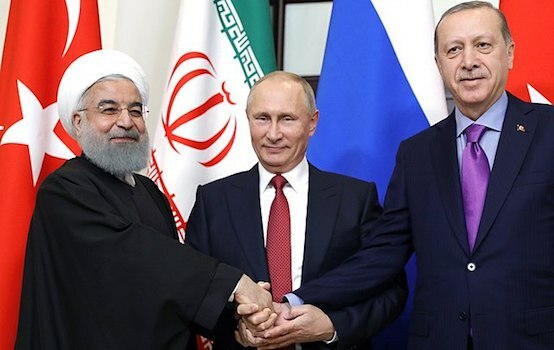 Commentators, who have been analyzing the contents of the 2018 policy as well as the reasons for its release, have first and foremost focused on the aspect of rapidly deteriorating relations between both world powers. The New Eastern Outlook has reported, on more than one occasion, that China has long viewed the EU as a potential geopolitical ally, and if not ally, then a benevolent neutral partner. And the increasingly problematic nature of the transatlantic relationship is clearly beneficial to China’s aims. Naturally, Beijing would like the European Union to act as a single effective player on the world stage. Therefore, China views various problems the Union is facing with wariness. One of the most pressing issues is the upcoming Brexit, which the first paragraphs of the 2018 policy paper describe as a negative development. However, further on, the document expresses (hope rather than certainty) that “the EU has remained committed to the direction of integration, pressed ahead with reforms in response to challenges and played a major role in regional and international affairs”. Still, there are no reasons to assume yet that the growing issues in the relations with the USA would automatically destine Beijing and Brussels to take reciprocal steps towards each other. Other than declarative statements, made at bilateral meetings varying in importance, no concrete steps forward have been made by either side. Moreover, on the issue of granting China Market Economy Status (MES), the EU and the United States presented a united front. Both “sides” of the Atlantic Ocean expressed opposition to granting of such a status by 31 December 2016, which marked the end of a 15-year period established on China’s accession into the World Trade Organization (WTO) in 2001. At the time, Beijing was forced to agree to a condition that during the previously mentioned period the state’s involvement in Chinese economy would decrease to a certain “acceptable” level. Such “rubbery” wording gave both of China’s key trade rivals an opportunity to affirm (the EU in December 2016, the USA a year later) that the condition, agreed on in 2001, was not met by the end of the 15-year period. In this manner, the leading nations of the EU (first and foremost Germany), whose economies would suffer the most from a flood of cheap Chinese goods, retained the right to set “correct” (not dampened) prices with the help of certain mock methods. The period of 2015 to 2017 saw the process of erecting barriers by the EU intensify. They have been put up on the path of Chinese companies, who are on shopping tour of Europe to purchase (also by means of investment) the most attractive European manufacturers, first and foremost in the high tech sphere. The latter began to be viewed as a threat to the Union’s security. Moreover, Brussels is observing, with increasing suspicion, Beijing’s intensifying work efforts on the 16+1 forum, within whose framework various joint projects between PRC and the Eastern European bloc of nations are under review. The key initiative in focus is the project to create a north–south transport corridor, which originates from the Greek city of Piraeus. The aforementioned corridor is slated to become an important section of the global New Silk Road (NSR) initiative, whose key aim is to ease and accelerate the movement of goods from PRC to Europe as a whole (and not just its Eastern part). But in Brussels there, seemingly, is wariness that this “16+1” format could result in (as a side effect) “Eastern European separatism”. Nevertheless, it is worth noting that Europe is already incurring substantial losses due to trade with China even with the current (slipshod) transportation routes. And what will happen when they become “as smooth as silk”? Hence, just one or two years after the 2014 policy paper had been issued, it was no longer tenable in the fundamentally novel conditions, which emerged within not only the geopolitical environment but also the bilateral ties between Beijing and Brussels. - Social and People-to-People Cooperation. An impressive format for the possible cooperation between Beijing and Brussels. Today, it is no longer possible to envision initiating something similar between Beijing and Washington (especially as far as the second section is concerned). Notably, the document’s appearance at this juncture may be construed as a response to Brussels’ publication in September 2018, entitled “Connecting Europe and Asia – Building blocks for an EU Strategy”. The strategy mentions China on more than one occasion (the second largest trade partner to the EU after the United States), for instance, in connection to developing railroad and maritime routes with the nations in Asia. In conclusion, we would like to reiterate that the statement, made on numerous occasions by Beijing and Brussels, expressing their mutual desire to refine all aspects of their relationship as well as solve long-standing, pressing issues, so far amounts to words rather than actions. 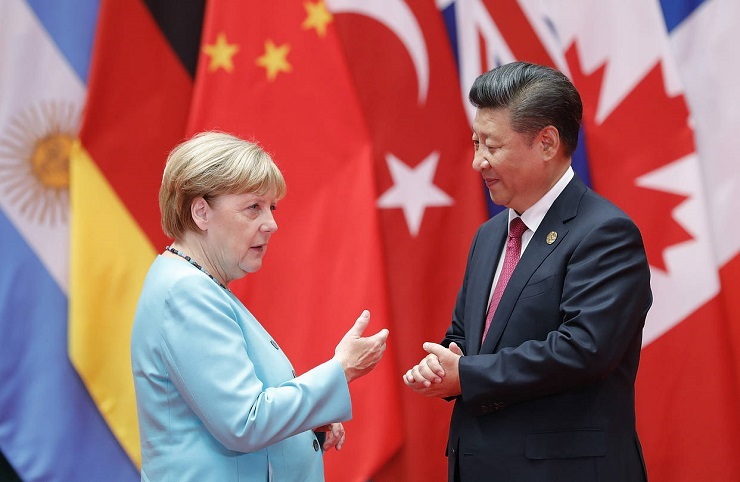 Still, it is possible that further escalation in relations between the United States and the EU as well as China could prompt the latter parties to move from words to concrete steps.